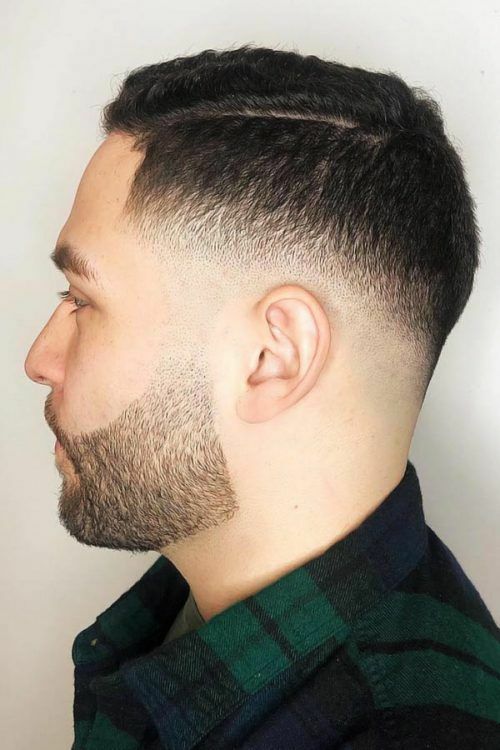 High and tight cuts are the ones that will suit those of you who do not wish to spend much time on your look but still want to look stylish and elegant. It is time you find the perfect haircut so that you will look super stylish while spending just a few minutes on fixing your hair! 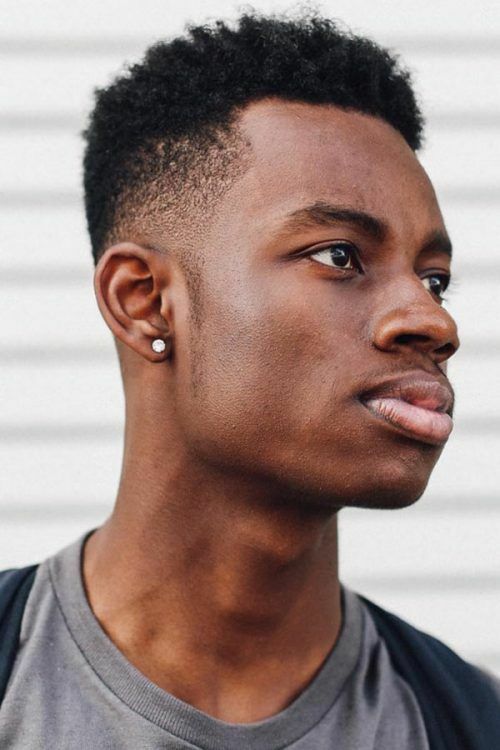 What Is The High And Tight Haircut? Who Need The High And Tight? It is true that these days there are as many haircut options for men as they are for women and we are not trying to exaggerate here. However, not all of them are exactly easy to style and to maintain. And sometimes it is what scares many men the most. That is why we decided to present to your attention something that will take you the least of time and effort to succeed with. But will grant you that stylish and elegant look that melts girls’ hearts in an instant. 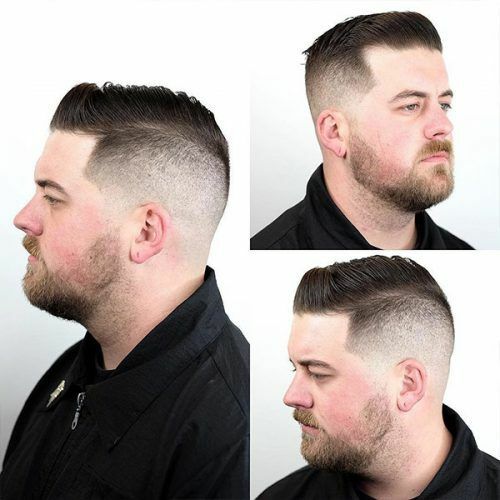 What we have in mind is high and tight haircuts, and it is time you learn more about them! Read on! The high and tight haircut is one of the short haircuts that is extremely popular within military society. But these days even the civilians adopted it since it is super comfortable. The thing is that this cut requires shaved or closely cut sides and back while the top is a little longer. So that you can easily style it without much time and effort involved. 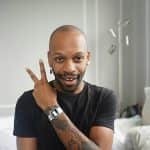 Besides, modern barbers suggest countless variations of the cut and that means that you can still experiment with your hair while keeping it short and comfortable. Another advantage of this cut is that it is flattering to all head and face shapes not to mention the textures. 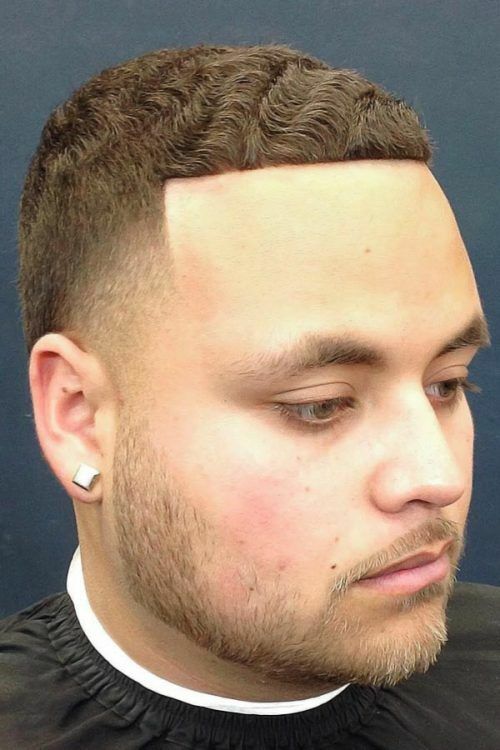 When you think about it, you may come to the conclusion that all the busy men need this cut. 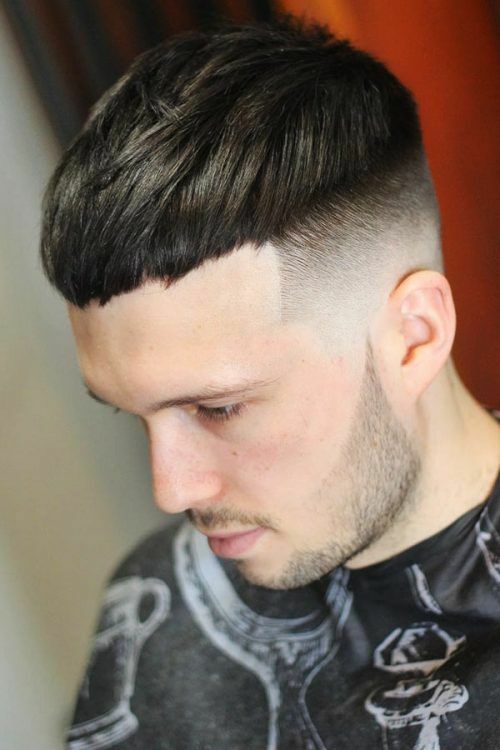 The fact is that with such a cut you do not need any hair product or time at that point to waste on styling it. While, you can still opt for a longer top and play around with it with some wax or hair gel, but that is totally optional. Sounds cool, right? 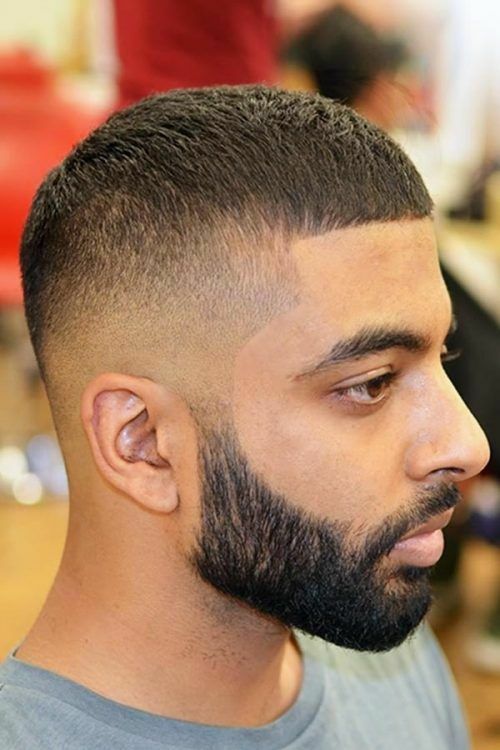 When it comes to how to cut hair, it should be emphasized that unless you are a professional barber you should leave it to the masters of hair styling. However, when it comes to the basics, you should start off with clipping off your sides and back, and then move up. 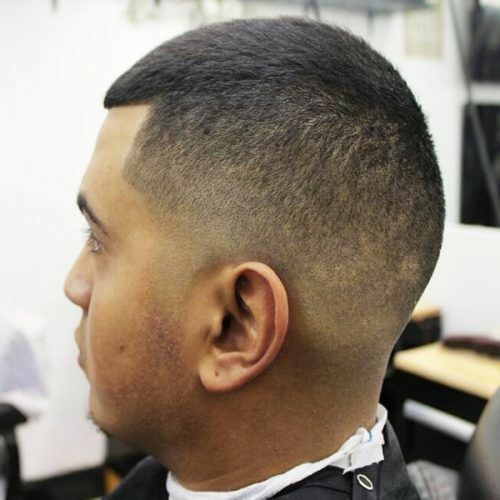 Make sure that the top is longer than the sides and back, besides the transition from high to tight should be noticeable. 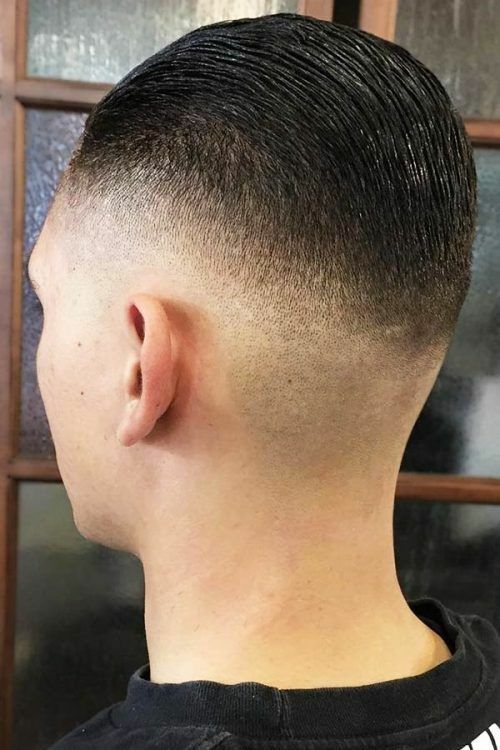 It has been mentioned that high and tight cuts are short and quite simple, but that does not mean that they are not stylish or versatile. To prove our point we have compiled a trendy gallery for you to get inspired with! 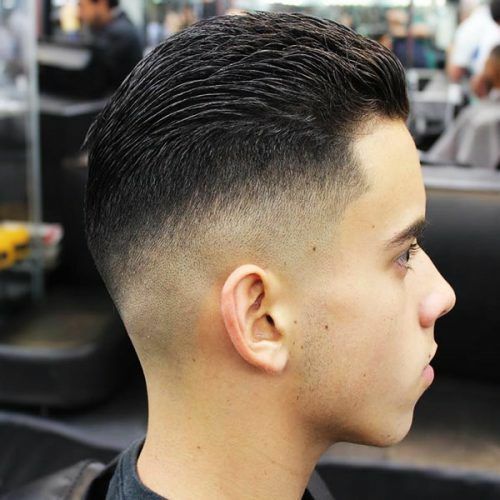 High and tight fade is one of the most requested cuts these days, especially when the summer hits. The thing is that it is very practical and stylish not to mention trendy. The fading part blends with the tight top just perfectly. 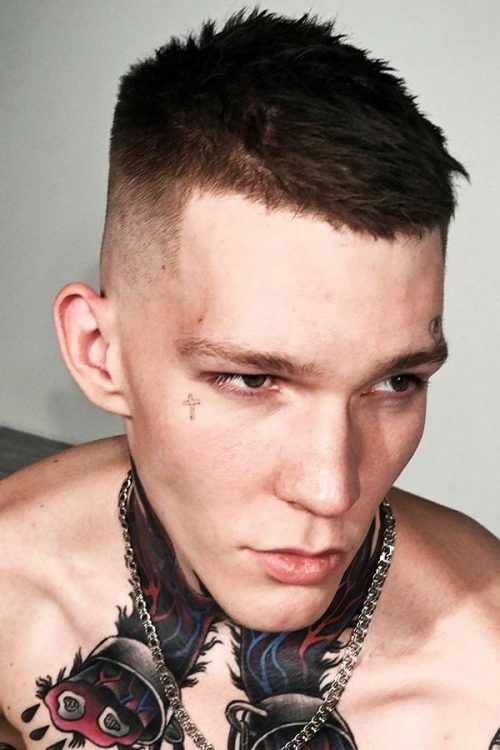 Caesar haircut is one of the trendiest these days, and it does not matter for how long it has been in already. 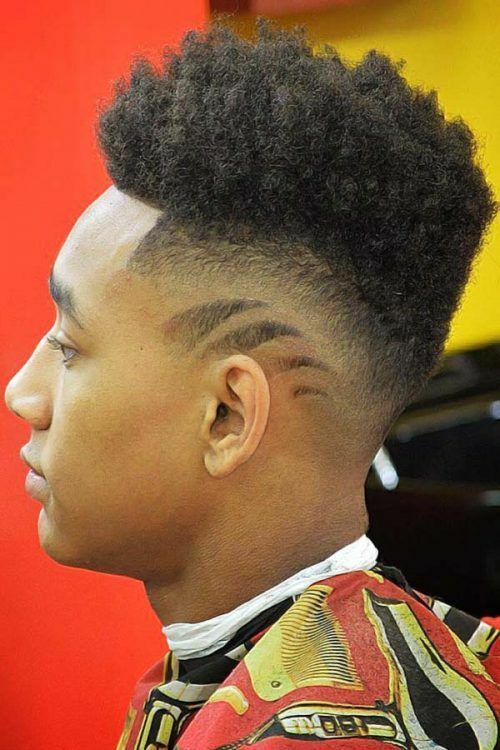 Yet, modern barbers think it is great to combine two cuts in order to create one unique haircut. 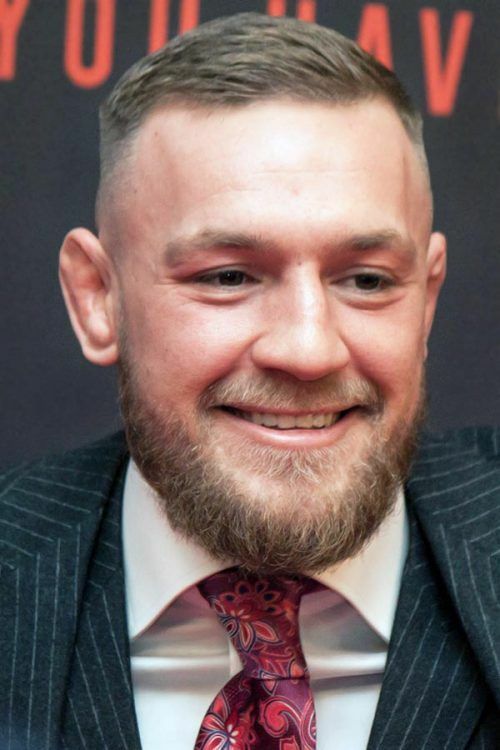 As you can see when you combine the high and tight together with Caesar cut the outcome is polished and stylish at the same time not to mention exquisite. It is true that looking unique is one of the main priorities of modern men. That is why we suggest you experiment with your cut a little. 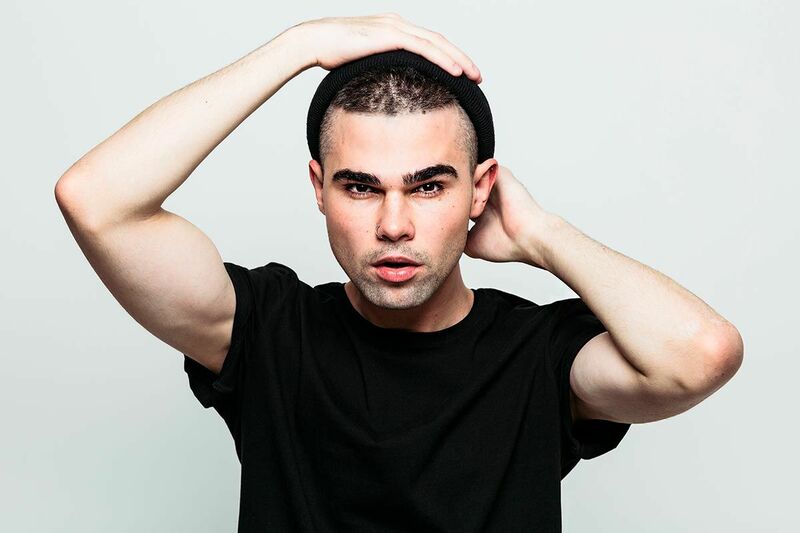 All you need to do is to add a side part to your regular high and tight. Side part haircut always looks fabulous and intriguing. 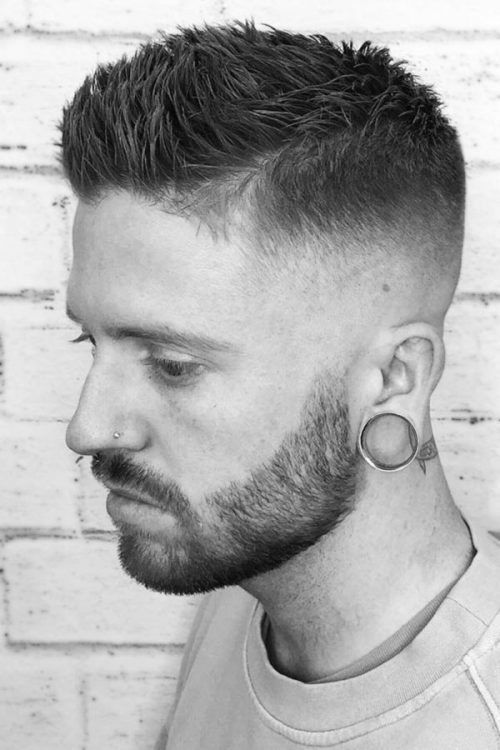 Short spiky hairstyles add that unique charm to any cut, and the high and tight one is surely not the exception. What is more, if you are opting for the spiky hair you are definitely leaving some room for the experimentation since the length allows it. In case that is what you have been looking for we suggest you pay a visit to your barber right now! 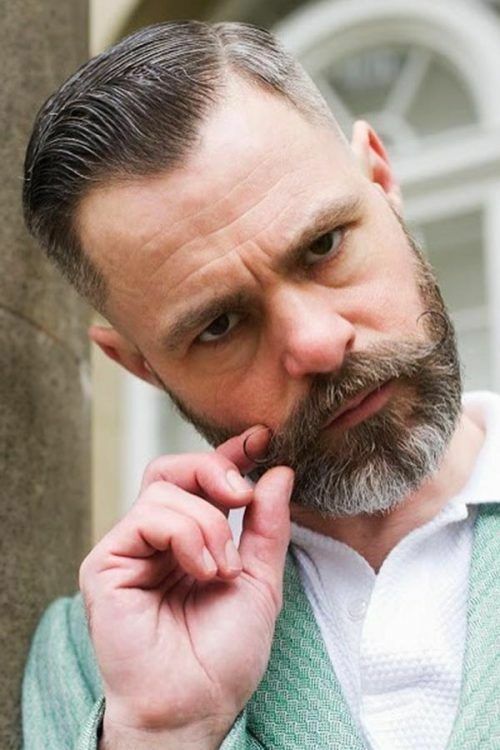 Very often, when you opt for a high and tight haircut, there is not that much length to experiment with, and that is why so many men are in love with it. 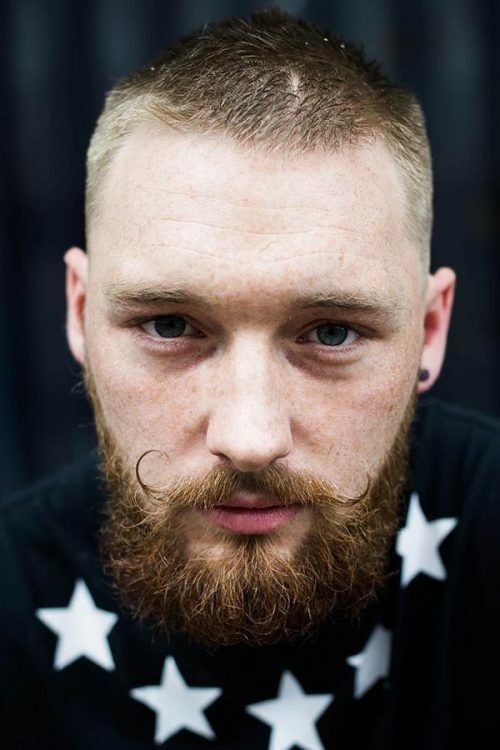 However, if you like this cut but would like to have some length to experiment on the top – there is a way out. What you need is a brushed up hairstyle, it suggests the length to be brushed in any direction. This allows you to experiment with styling as often as you would like. It is true that wavy hair men often face the issue of coming up with a suitable cut for themselves. From now on, you can sleep tight since your problem is solved! 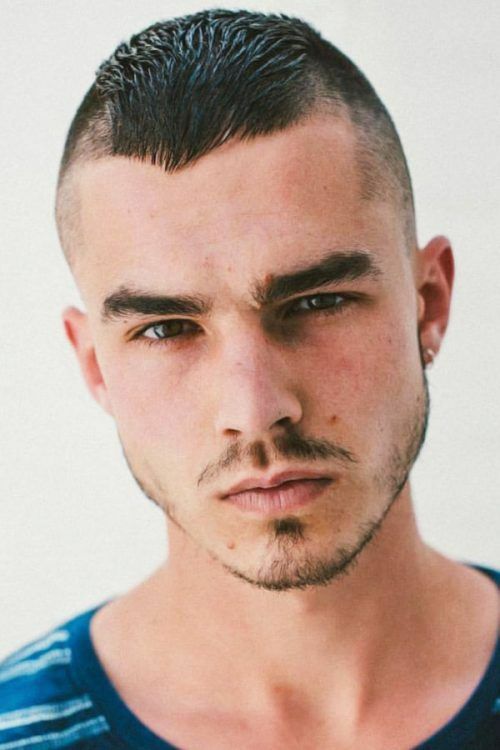 The thing is that high and tight haircut is what will complement the texture best and even short wavy hair men will fall in love with it! 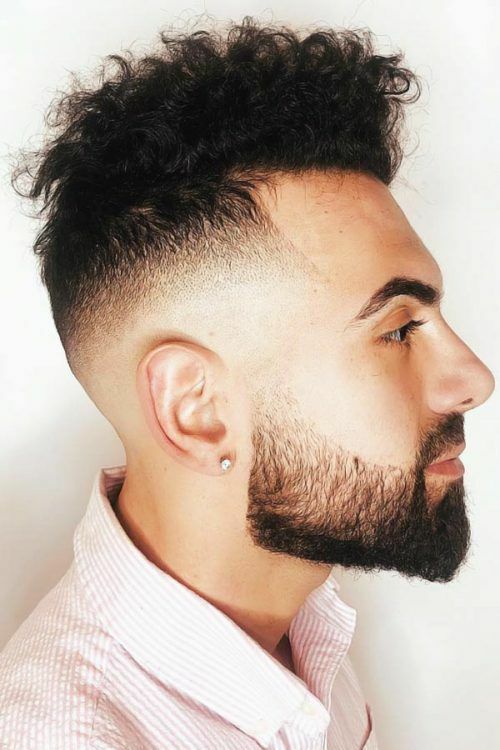 Curly top fade is the best option for those of you with tight curls. The thing is that the top in this haircut is a little longer. 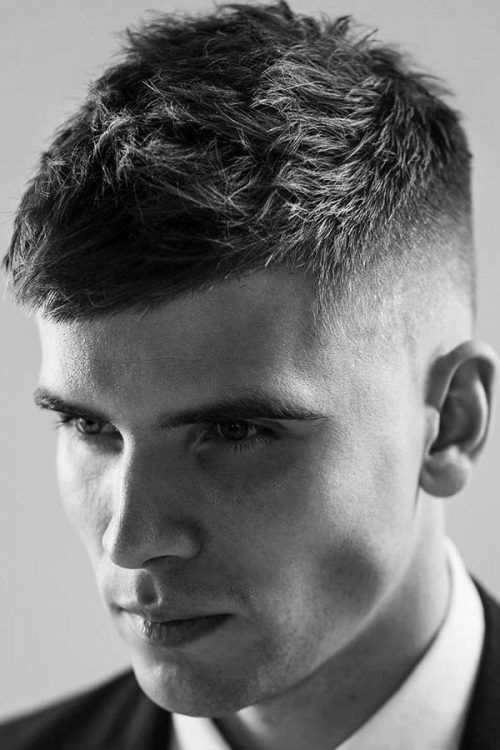 But it does not spoil the polished impression of the high and tight cut while leaves all the party at the top. Just perfect, don’t you think? 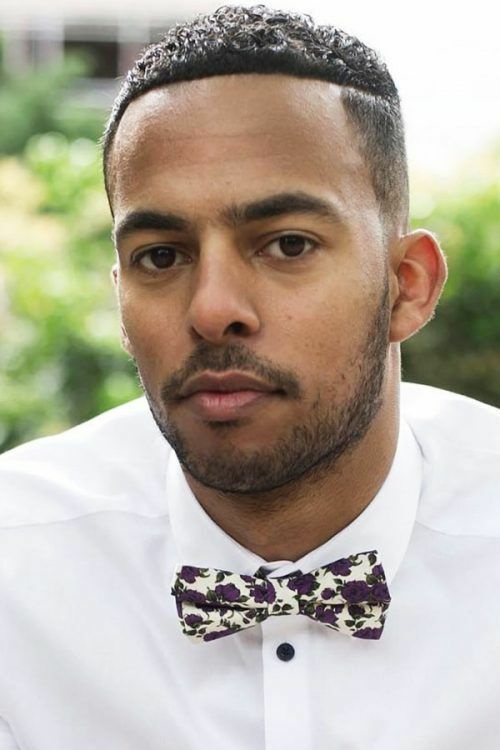 Black men haircuts are not limited in number, by no means. All you need to do is to be aware of the options available. 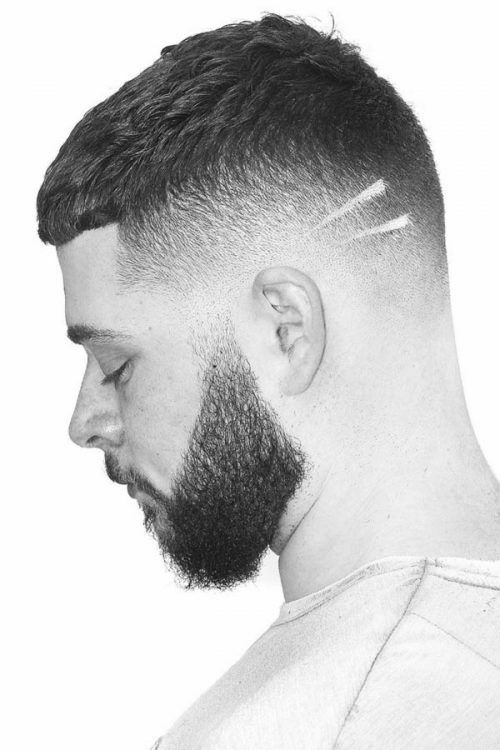 Once you get a grasp of what you can play around with you will be able to come up with a different style every time you are headed to your barber. This high and tight haircut with afro curls is one of those natural hairstyles you are bound to try out at least once! Short hair is what many men prefer but very often they falsely conclude that the range of options is limited. 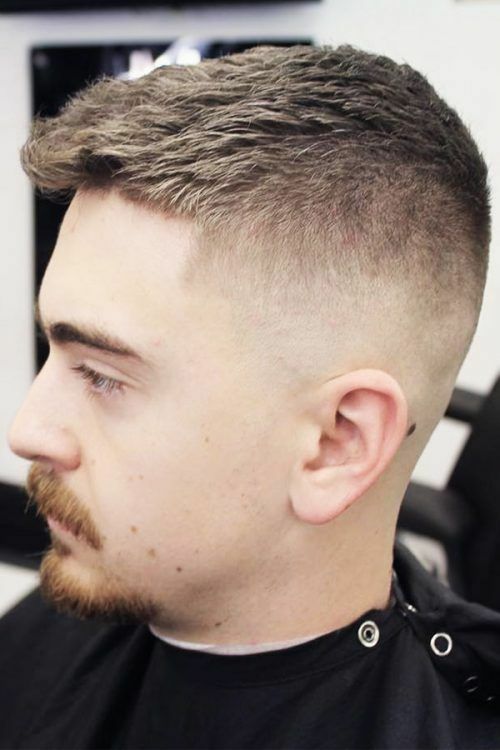 Today we are going to talk about high and tight cuts, and you will definitely be surprised how many easy options there are for you!